‘Top Chef’ host and judge Padma Lakshmi was joined by her fellow judges Tom Colicchio and Gail Simmons on the gray carpet at the 2015 NBCUniversal Cable Entertainment Upfront in New York City on Thursday. The 44-year-old Indian-born American TV host, model, cookbook author, actress, and executive producer flaunted her flawless figure and ample cleavage in a bright yellow bandage dress featuring a plunging V neckline. Adding more colors to the decidedly playful look, she carried a cobalt blue clutch and wore an interesting pair of colorblock sandals. Her dark hair was worn down in gorgeous curls, and her face was impeccably made-up with pink lipstick, giving her fun spring look some glam. Furthering the cheerful vibe of her ensemble, Padma chose the Christian Louboutin “Otrot” sandals for her feet. 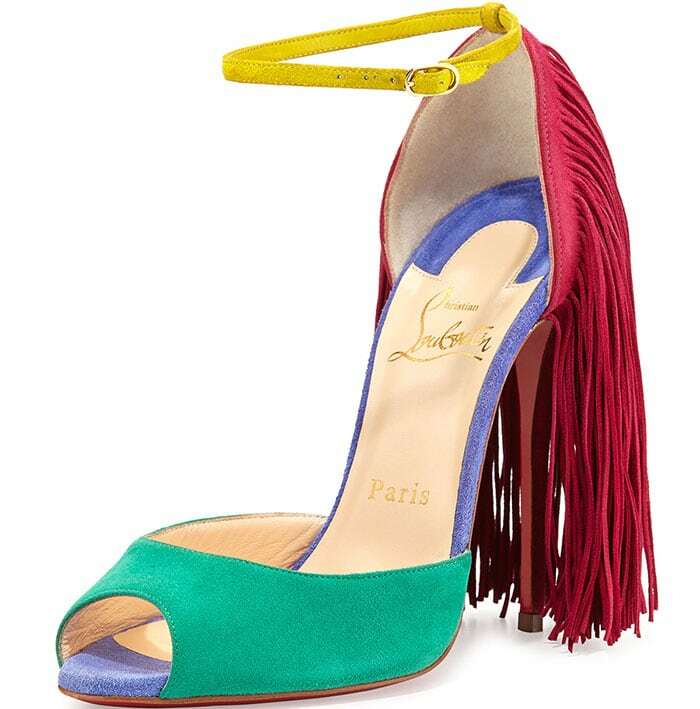 They feature a colorblock design made of suede material featuring adjustable ankle straps, peep toes, and long fringes that cover the heel counters and 4.7 inch stiletto heels. Padma Lakshmi’s Christian Louboutin sandals are the perfect shoes to complete a spring outfit. 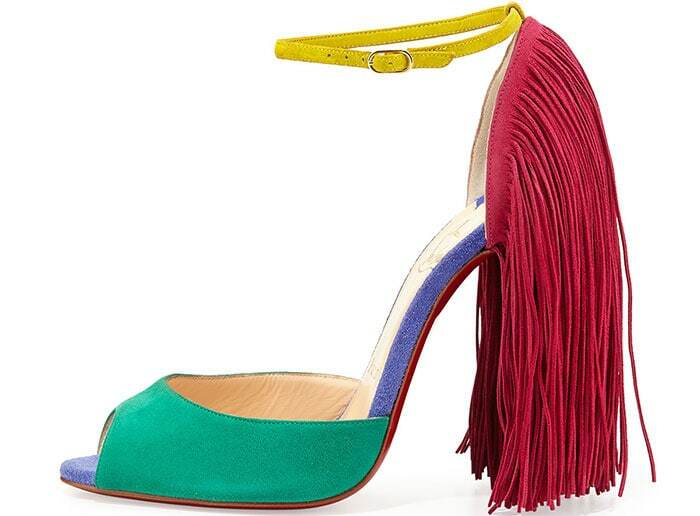 You can order them at at Bergdorf Goodman.